Garmin continues to make a series of investments into developing a robust lineup of helicopter solutions, which are tailored to the unique missions carried out by these operators. Our latest additions include Night Vision Goggle (NVG) capable versions of our popular GTR 225 COM and GNC 255 NAV/COM radios, as well as the introduction of the GWX 70H solid-state weather radar, which are optimized for helicopter operations. The NVG capable GTR 225 and GNC 255 radios have reinvented the stand-alone aviation radio by offering an internal frequency database, which makes it simple to find frequencies associated with an airport or facility. By simply entering an airport identifier, frequency data associated with the facility is displayed for quick and easy access to information needed while enroute. With an optionally-installed switch on the controls, this safety-enhancing feature enables pilots to easily select from often-used radio frequencies while leaving their hands free for in-flight operations. When installed with a compatible GPS unit such as the GTN 650/750 or GNS 430W/530W series, the GTR 225 and GNC 255 conveniently displays facility name and type when tuned to a valid station. Additional time-saving features permit the GTR and GNC series to automatically store 20 recently used frequencies, with the option to manually store up to 15 of the most-used frequencies, such as those at the pilot’s home airport. In addition to the GTR 225 and GNC 255, Garmin offers additional NVG capable products, including the GTN 650/635/750 touchscreen navigators and G500/G600/G500H flight display systems. Garmin is also pleased to announce the helicopter-optimized GWX 70H weather radar, which has been enhanced for more challenging environmental conditions. Doppler-capable radar combines excellent range and adjustable scanning profiles with precision target definition for accurate, easy-to-interpret, real-time analysis in the field. Vertical scanning also enables pilots to analyze gradients and cell buildup activity at various altitudes. With the addition of Ground Mapping Mode, the GWX 70H provides a real-time depiction of terrain so operators can easily detect natural and man-made ground features, further enhancing situational awareness. Compared to earlier generation magnetron-based weather radar systems, the GWX 70H offers significant improvements in capability, reliability and cost of ownership. The GWX 70H is compatible with the GTN 750 and GTN 725 touchscreen navigators, the G1000 integrated flight deck, G500/G600/G500H flight display systems and GMX 200 multi-function display (MFD). The GTR 225 and GNC 255 NVG capable radios and GWX 70H weather radar are now available. 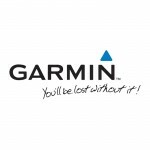 For additional information, contact a Garmin Authorized Dealer.